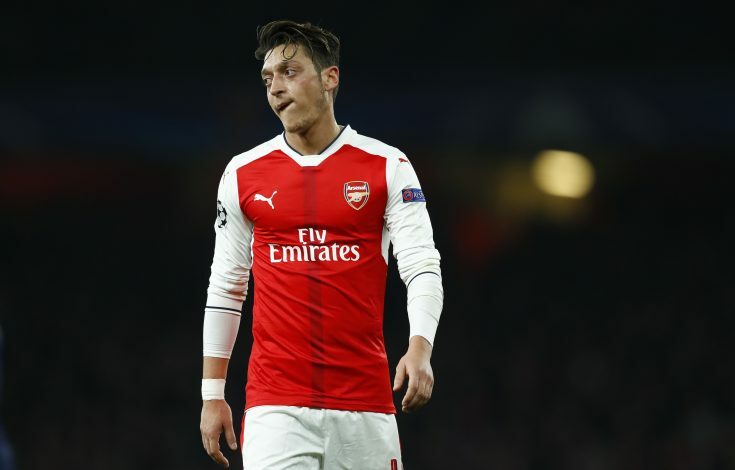 Barcelona have reportedly enquired about Mesut Ozil’s current situation at Arsenal. Arsene Wenger is keen to hold on to the German playmaker and negotiations are going on regarding a new contract, with his current deal about to expire in the summer of 2018. If Arsenal fails to settle for any agreement then they will be forced to let their one of their star performers go at the end of this season. Ozil is right now the north Londoners’ the top earner on wages of £180,000 a week, but he is consistently demanding a pay rise to at least £250,000 a week. It’s believed that Wenger’s future as the Arsenal manager will also play a significant part to persuade the German committing his future further at the Emirates. There is even a possibility of Wenger leaving Arsenal this summer as the growingly frustrated fans’ response may decide whether he signs another extension at Arsenal, posing questions over Ozil. According to the Mirror, Barcelona are keeping a close eye on the 28-year-old’s current situation and are willing to break the bank to snap up Ozil if they receive any encouragement. The La Liga giants have shown their interest in the German maestro twice before, and he has once again taken a place in the summer wishlist of Luis Enrique. However, the same report suggests Ozil’s former club and Barcelona’s arch rivals Real Madrid have a buy-back clause. And if Arsenal decides to sell the German, they have to inform Madrid before starting any negotiations with another club. Meanwhile, Alexis Sanchez is also holding firm with his similar demands to Ozil amid rumoured interest from Juventus, Paris Saint-Germain and Chinese Super League clubs.